Atkinson, a recent graduate of West Hall High School in Oakwood, indicated in his statement that he will remain at UGA as a student. @TylerDawgden He's leaving school. Mentioned a while a ago. UGA confirmed. So, either he's leaving the football program, but staying at UGA, ala Preston Mobley, or he's leaving Athens. 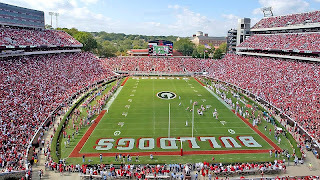 Apparently, though, there are those that think this is a further sign that players can't wait to get out of Athens, with those people ignoring that a couple of the recent departures were given bus tickets and told to leave.